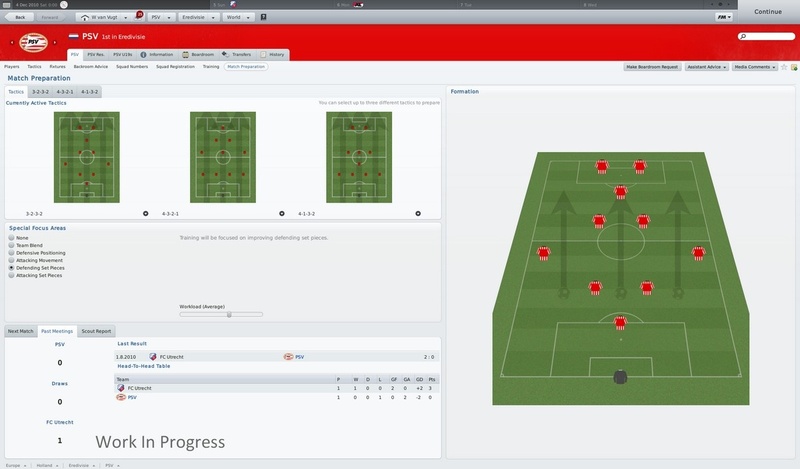 Football Manager 2011 is the latest iteration of the award-winning Football Manager series. 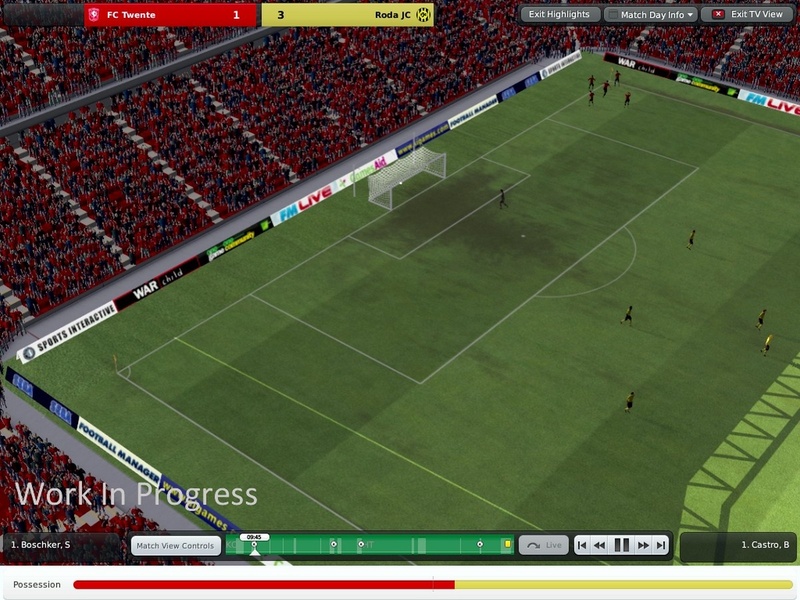 Selling in excess of 6 Million copies worldwide, Football Manager has been topping the UK PC charts for the last five years. 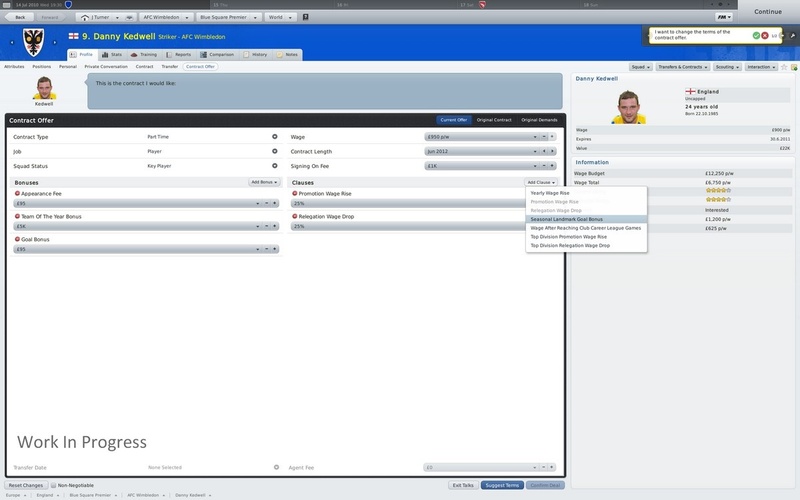 Football Manager 2011 will be more polished than ever this year, and Sports Interactive will again set a new standard for the genre by adding a host of new features. 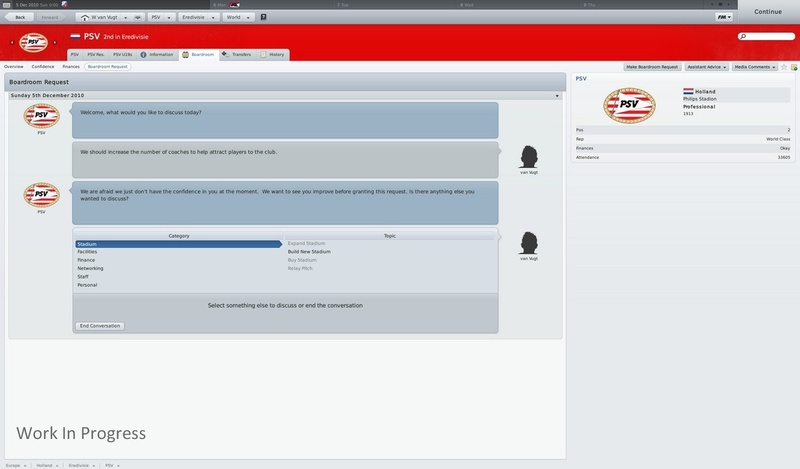 For the first time ever, aspiring managers can now negotiate contracts with players in real time. 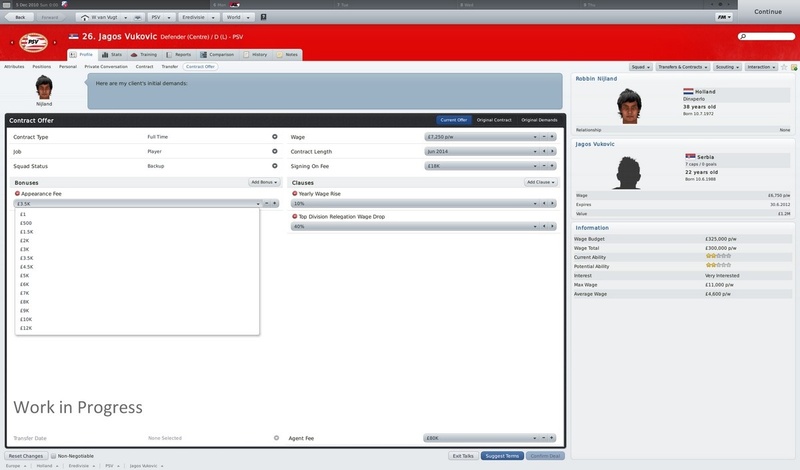 And by working with a multitude of real-life football agents, Sports Interactive gained an insight as to how these negotiations can be made as realistic as possible in-game. Prepare to meet different types of agents in your contract talks; each with their own personality so will therefore need a different approach. 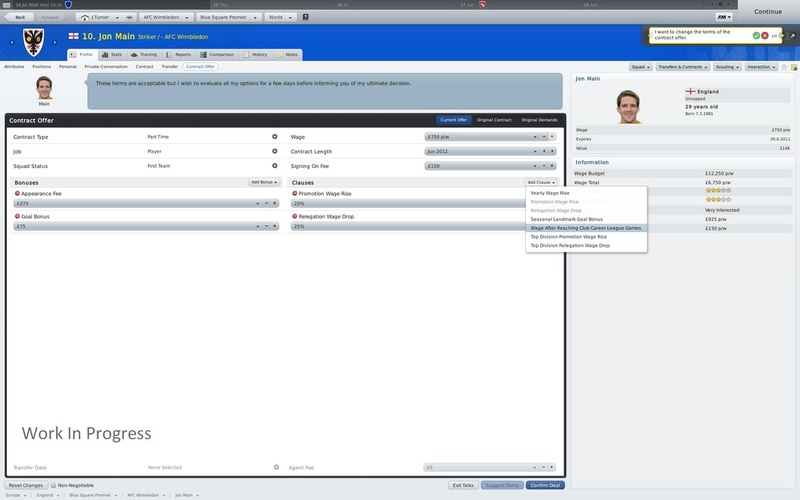 Interaction with players, staff and the board have gone to a whole new level, with a host of new boardroom and backroom requests, a new player interaction module that allows the manager to have private conversations with players, as well as public conversations regarding players at other clubs. 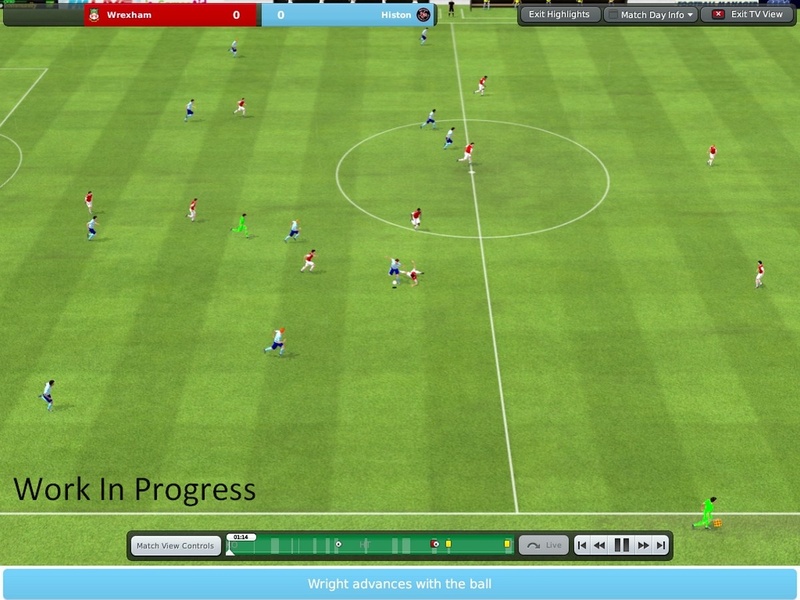 Two years after the launch of the 3D Match Engine, players will see a number of improvements implemented for this year’s release. With over 100 new animations added, as well as more player emotions, new player models, new stadiums, pitch textures, improved lighting, floodlit night matches, more goal celebrations and lots of other extras which improve what was already the best match simulation on the market. 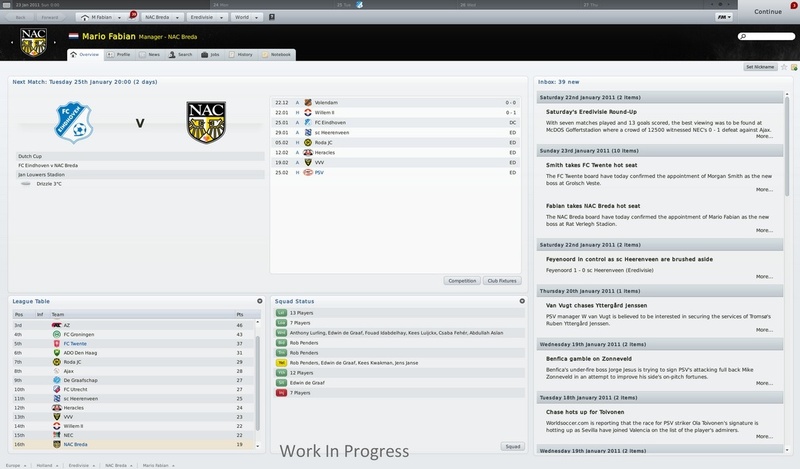 The other new features announced today include a revamped media module, which will keep the managers better up to date with events going on in their football world, as well as being more customisable than ever before, and the most requested feature that the Sports Interactive community have asked for in the last few years, dynamic league reputation, which makes for an even more realistic model of the footballing world.